What makes our Lavender different? We cultivate six varieties of California lavender on our family farm using sustainable growing practices. 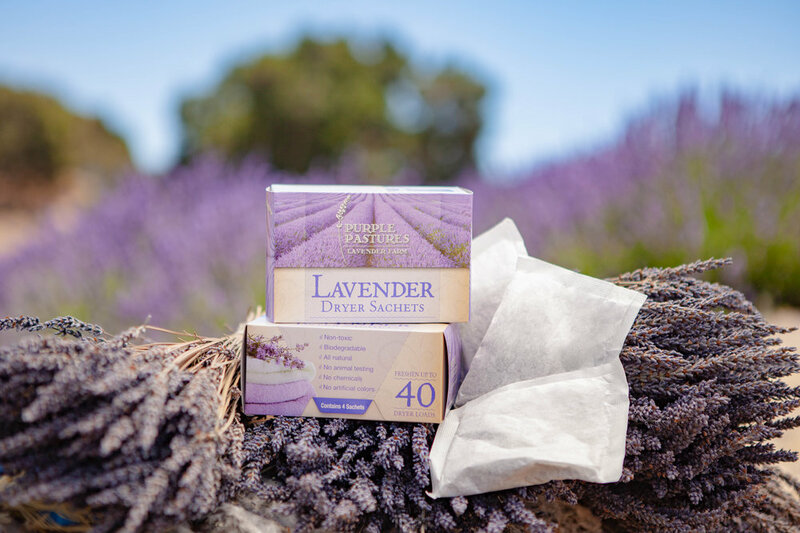 Our lavender dryer sachets infuse laundry with a calming fragrance for up to ten dryer cycles. Loose lavender florets can be used to freshen linens, closets, vehicles, carpets, and so much more! How can we serve your wholesale lavender needs?